The students who have registered all courses in semester 3/2018, can apply for graduation online (no need to wait for the grade). After applying for graduation online, please print out the document and present it to advisor for a signature. Then submit the signed form to the Office of Registrar by Apr. 26 , 2019. Otherwise, the process will not be completed. The students who apply for graduation after Apr. 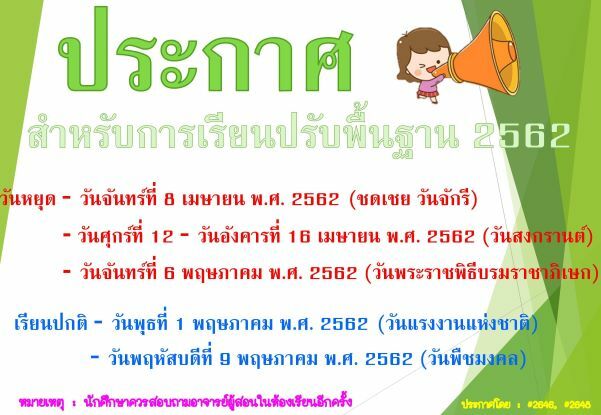 26 , 2019 ,please contact Office of Registrar. Based on Office of Registrar's policy, the students will be charged for late fee in case of late processing. - We recommend using Internet Explorer version 5.0 as the browser and 1024x768 pixels for optimal result.